1. 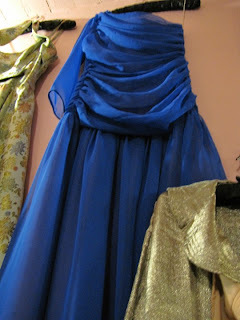 Vintage shops- obvious, yes. But they are fantastic. If you've never been to one, I can advise you to visit your closest shop as soon as possible. 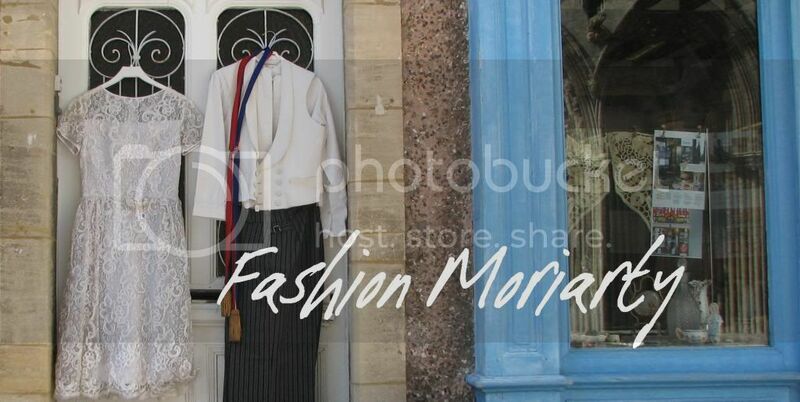 A quick Google search featuring the words 'vintage shops' and your local area should reveal a few places you can go. If you can get to London easily, Radio Days is my all-time favourite vintage shop, with clothes and accessories from the 20's and 80's plus it's really close to Waterloo. 2. Car boot sales- they're very hit and miss. On the plus side, people don't want to drag all the stuff home with them and are willing to reduce their prices to something more affordable, so barter. I got the leather shoes pictured above for just £1 and they're in great condition. You may not get genuine vintage, but you will get something with a previous owner and with a history, which is what vintage is really about. 3. Charity Shops- don't be put off by the inordinate amount of elderly women, charity shops or thrift stores can be surprising in what they stock, plus the average volunteer is not likely to recognise Louis Vuitton when she sees it. 4. Relatives/Friends- have you ever had a good look through your mum's wardrobe? You may not have realised that she kept the Rolling Stones T shirt she wore to their gig when she was 16, or the bridesmaid dress she wore to aunt Dana's wedding in '82. An older person's wardrobe is a Narnia full of undiscovered treasures just waiting to be stumbled upon. Just make sure you ask first. 5. Theatre Costume Sales- I went to one of these recently, and got a long black 1930's style dress which was perfect for the murder mystery I was going to the next week. Even if the clothes aren't genuine wartime pieces or whatever, they will be made in that style by a Wardrobe Mistress who was trying to get the most authentic look for the play. 6. Ebay- personally, I have never bought clothing from Ebay, but I do know someone who has had some great buys from it, including a sequinned gold showgirl dress, all for pretty good prices. Just be watchful of how much postage they charge you and what system of sizing they use. 7. The High Street- OK, so its kind of the anti-vintage, but any knowledgable brand should have picked up on the whole retro craze by now, so you can pick up some amazing pieces from Topshop, Miss Selfridge and River Island to name a few. Or why not go one step further with Urban Outfitters? Their Urban Renewal range is full of modern clothes remade from vintage materials and they now have One-Of-A-Kind, genuine vintage items available online only. 8. Market stalls- in my town, there is a regular stall selling vintage clothes from about the 70's onwards. The prices are slightly better than a vintage shop and the clothes are in better condition than Oxfam donations. Look out for them in your area or if you fancy a trip to London, Thursday is vintage and retro clothing day on the legendary Portobello Road market, and there are plenty of good vintage shops to the sides aswell. Set aside a few hours because this road goes on forever. 9. 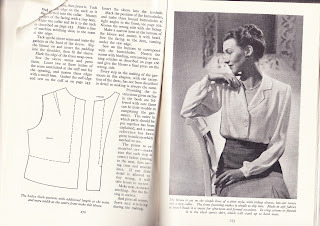 Make your own- I have a fantastic book called Practical Home Dressmaking Illustrated by Lynn Hillson. Originally published in 1948, I got it for 20p at my school library. It has so many easy to follow designs from the time, and I plan on testing a few out in the near future. 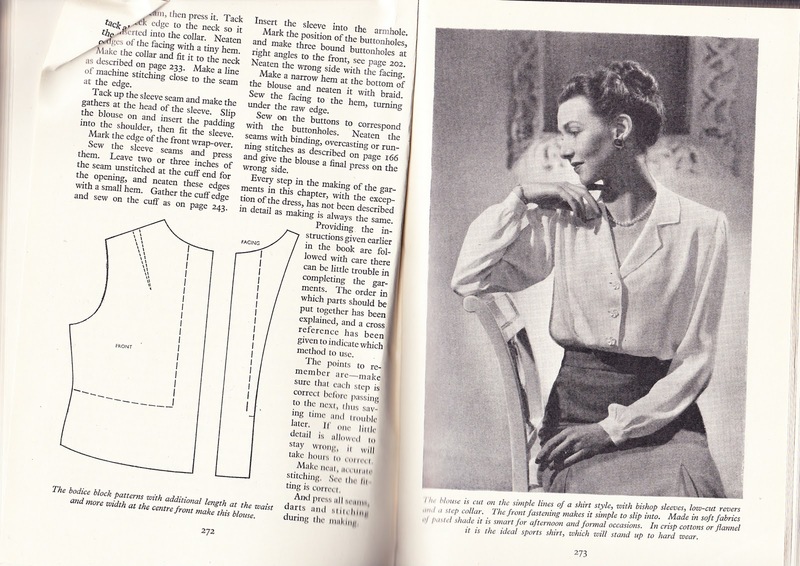 Look out for books like these or even vintage dress patterns in charity shops and second hand sales.